Students were agitating over the infrastructure of the Centre for Disability Studies and Rehabilitation. 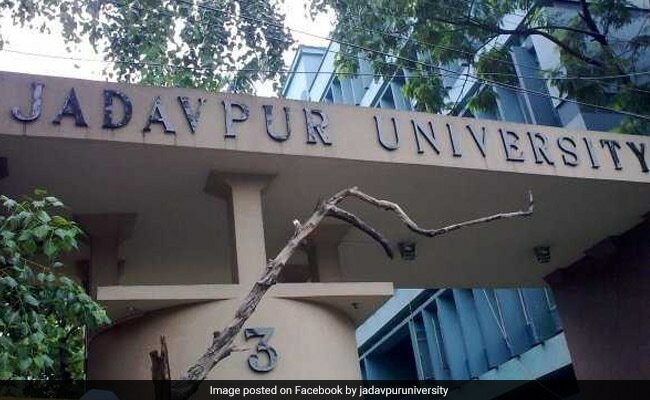 Jadavpur University vice-chancellor, registrar and other senior officials left the campus on Tuesday night after a section of the students gheraoed them for around 25 hours. A pro-vice-chancellor and other members of university’s Executive Council, the highest decision making body of the institute, were also gheraoed by the students, an official of the university said. Member-students of the Arts Faculty Students’ Union (AFSU) and the Faculty of Engineering and Technology Students’ Union (FETSU) were agitating to press for their demand that the infrastructure of the Centre for Disability Studies and Rehabilitation be improved with RUSA funds. The Rashtriya Uchchatar Shiksha Abhiyan (RUSA), a Centrally Sponsored Scheme, aims at providing strategic funding to eligible state higher educational institutions. The gherao, which began around 8 pm on Monday, was lifted shortly after 9 pm on Tuesday after the EC agreed to look into their demands. “I have left the campus after being confined since yesterday evening. I will not lodge any complaint against the students for confining me and other teachers. But what they did is undemocratic,” VC Suranjan Das told news agency PTI. He, however, thanked a section of agitating students for taking the initiative to end the stalemate. AFSU leader Debraj Debnath said the sit-in will continue.